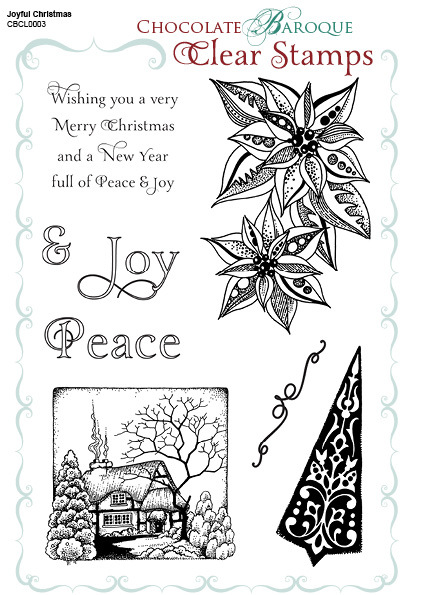 This A5 clear stamp set includes a traditional English cottage that could be a winter scene or a summer view together with a modern take on the poinsettia, a swirls plus some words. Contains 4 images, 1 verse, the words 'Joy' and 'Peace' plus an ampersand. 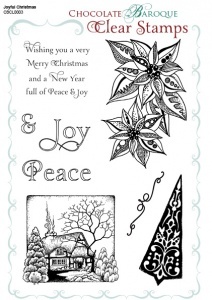 Peace and Joy have been restored to the craft room with these FAB stamps. Just as good as the unmounted stamps, the detail is amazing and the finished item looks great. A great set of stamps! 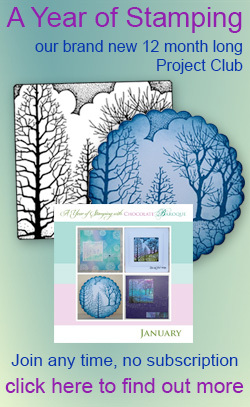 Another of the new clear stamp sets.Beautifully presented in the plastic folder.Each detailed image stamps clearly.A very versatile set.